Accommodation In Well Appointed Luxury Room. Fresh Fruit Basket on Arrival. Half Day Sights Seeing Complementary. 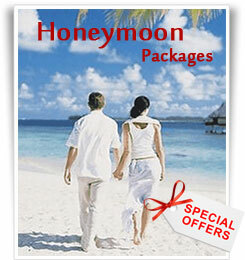 Honey Mooners : Flowers Decoration, Fruit Basket, Kesarmilk, A Bottle of Wine. Complimentary Cake on Anniversary / Birthday.